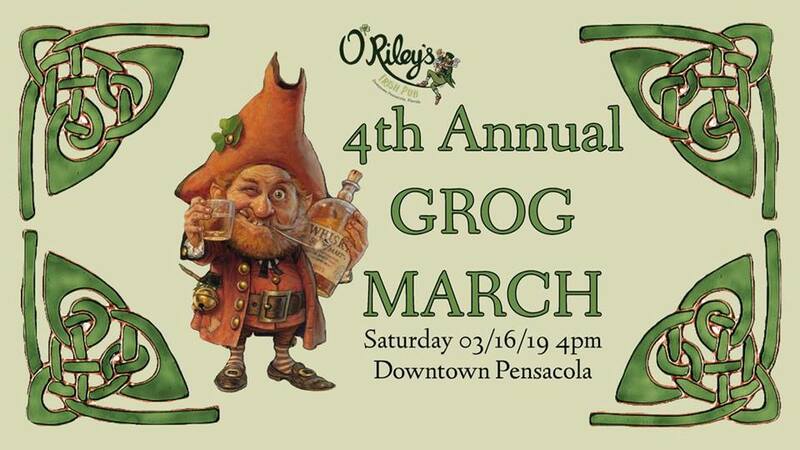 O'Riley's Irish Pub Downtown is hosting the 4th annual Downtown Pensacola Grog March. With your help, every year we are able to collect food and donations for Manna Food Pantries. Registration starts at O'Riley's at 4 PM and the pub crawl starts at 6 PM. Please bring 2 or more non-perishable food or cash donations. Your $10 registration fee includes commemorative t-shirt, 22oz pub crawl mug for refill specials at each stop, schwag and a passport for the raffle at O'Riley's later that night. $5 Bud Light refills and $6 signature cocktail refills with your pub crawl mug. 6:45PM NYN's BADLANDS "a roadside bar"